I’ll be on 850KNUS here in Denver on Sunday, talking about In the Shadow of Ares with my PPC co-blogger Ross “Rossputin” Kaminsky. The show is on from 5 PM to 8 PM on 710 AM KNUS in Denver and 1460 AM KZNT in Colorado Springs. I will be on between 7:00 and 7:30PM. For those outside the Denver area, you can listen to the show online by clicking HERE. Science fiction fans might want to tune in a little earlier, as one of Ross’ other guests this weekend is SF author and Tea Party figure Andrew Ian Dodge. 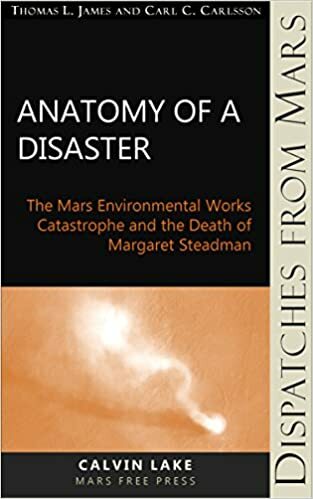 One theme running through In the Shadow of Ares is the economics of early human settlements on Mars, and one way in which we explore this theme is through the contrast between the entrepreneurial independent settlements and those subject to the meddling of the Mars Development Authority. Aaron halted the rover near the base of the huge sculpture. “Why are we stopping?” Lindsay asked. He leaned forward, looking at the nearly complete monument rising before them. “Look. Can you see it?” From this angle the third arch was hidden behind the central axis, so that the Gate appeared to be only a pair of arches. “See what?” Amber asked. She and her mother both craned their necks, trying to see what it was that Aaron was seeing, besides the obvious. Aaron traced an “M” across the rover’s window with his index finger. “McGate,” he grinned. “Mick what?” Amber asked. She had heard the project referred to as “Gate-gate”, by critics of the MDA’s waste of funds and materials. The controversy had been surprisingly short-lived in the Martian media, with Quipu and the smaller news aggregators alike quickly losing interest in it and not following up on the occasional revelations of mismanagement and overspending. The rumor among the independents was that MDA pressure squelched the reporting of any controversy. It was easy to believe such a rumor — the Gate was, after all, Administrator Poissant’s pet project. “What do you mean?” Amber asked, confused. “In the Shadow of Ares” – Now Available! In 2029, the third exploration mission to Mars vanishes without a trace. Two decades later, the success of human settlement of Mars and the life of a young girl hinge on the secret of what happened to the Ares III mission. Twenty years later, Mars is a growing outpost of humanity, and 14-year-old settler Amber Jacobsen is a minor interplanetary celebrity – ‘the First Kid on Mars’. Pioneering Mars is hard, unglamorous work, though, and Amber secretly wishes she were just an ordinary girl living on Earth. It’s priced at an affordable $6.99, and would make a wonderful Christmas present for the science fiction reader or young adult on your shopping list. Especially if you’re buying them a Kindle or they already own one (remember, you can also download the free Kindle app for various electronic platforms if you/they don’t have a Kindle reader). While I’m going to be occupied for much of the weekend with writing a business plan and attending Christmas parties, I do expect to get the blog at AresProject.com up and running again in the next few days. We will use that forum to discuss the book, the backstory, etc. 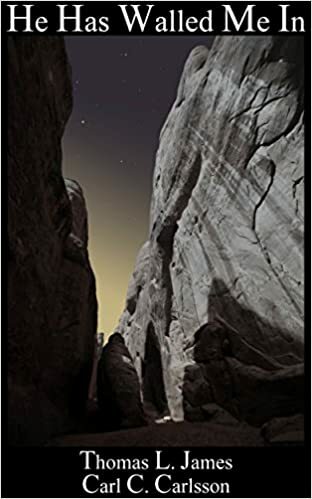 Small change in plans: in order to avoid confusion with the twenty-odd other science fiction books set on Mars which use the same name, the book previously known as Labyrinth of Night will now be titled In the Shadow of Ares. UPDATE: formatted and uploaded now. Turned out to be a pretty painless process, much to my surprise. Just haggling over what price to set, and then we can publish it. And before anyone asks, no, the title does not have anything to do with Constellation. Sad to say, we actually had the book half-written and most of the backstory laid out well before NASA applied the name Ares to Mike Griffin’s misbegotten launch vehicles. After I catch up on a few things, I intend this weekend to revamp the book’s website so that we can start giving out tidbits of the backstory and how we came to write the book.